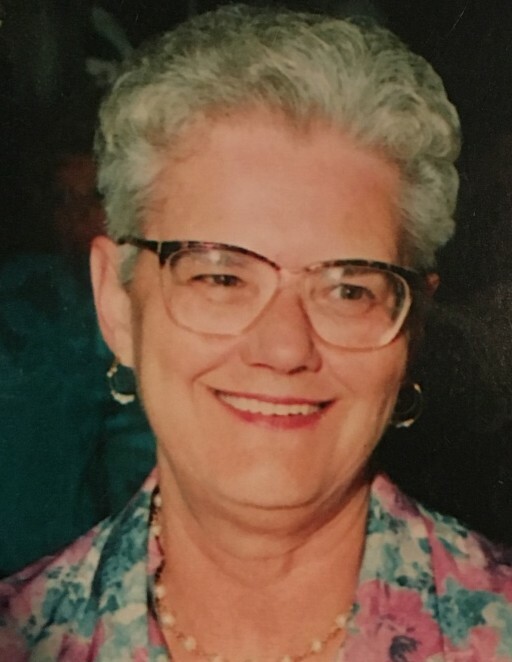 Margaret M. "Marge" Paraventi, of Wilkes-Barre, died Tuesday, November 20, 2018, in Birchwood Nursing and Rehabilitation, Nanticoke. Born in Wilkes-Barre, she was the daughter of the late Walter and Marjorie Phillips Hoeffner and was a graduate of Meyers High School. Marge was well known in the community waitressing at popular locations such as, Genetti's Hotel, The Hart Lunch of Wilkes-Barre and Gigliotti's, Newtown. She loved her dogs and sweets and enjoyed doing crossword puzzles and sewing. She was preceded in death, in addition to her parents, by Leonard J. Paraventi and son in law, James Martin. Margaret is survived by her children, Patricia Martin, Wilkes-Barre; Mark Paraventi and his wife, Karen, Wilkes-Barre Twp. ; Karen Danelowitz and her husband, Gary, Stillwater; sister, Susan Miller and her husband, Raymond, Dorrance Twp. ; grandchildren, Sarah and her husband Joseph Kus, Glen Lyon; Randy Schuster, Glen Lyon and Anthony Paraventi, Wilkes-Barre Twp. one great granddaughter, Reilly Chapin; three nieces and one nephew. Funeral service will be conducted on Monday, November 26, 2018, at 9:30 am from the Lehman Family Funeral Service, Inc. 689 Hazle Ave. Wilkes-Barre with a Mass of Christian Burial celebrated in St. Andrews Parish, 316 Parrish St. Wilkes-Barre at 10:00 am. Interment will be in St. Marys Cemetery, Hanover Twp. Friends may call from 5 to 7 pm on Sunday, November 25, 2018 and Monday from 9:00 am until time of service.